MXP144FX 14 Input Mixer with FX and USB out. 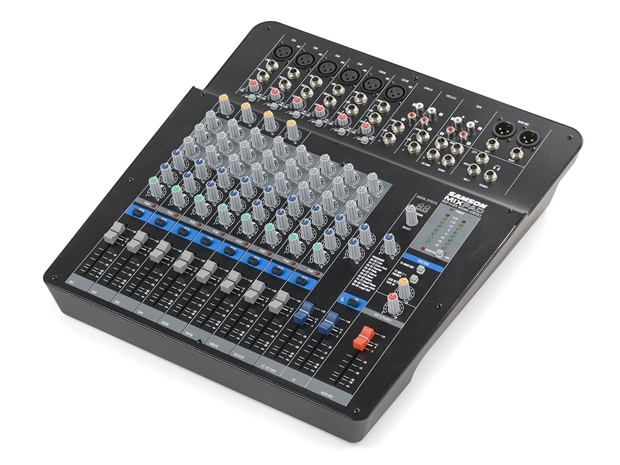 MXP144FX MixPad Series Mixers integrate Samson’s commitment to quality, affordability and professional specs.These compact, lightweight mixers offer all of the sonic clarity, ease of use and premium performance that serious musicians demand. Perfect for live band rehearsals and performances, as well as vocal presentations, Samson’s MixPad Series Mixers set the new standard in live mixing. MXP144FX Mixer, Power supply and Manual. Samson Audio : MXP144FX 14 Input Mixer with FX and USB out.